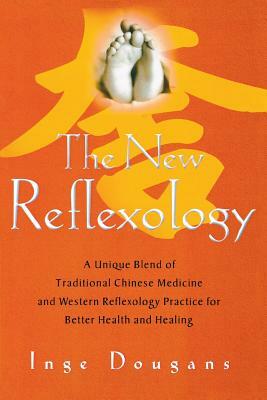 Reflexology has always been an effective way to relieve stress, alleviate pain, and combat ailments, but in The New Reflexology, internationally acclaimed instructor Inge Dougans shows readers a unique and proven method for getting even better results. Her system  an integration of traditional Chinese medicine (particularly the 5 elements and their 12 meridians), diet, and standard Western reflexology practice  allows practitioners to treat a much wider variety of ailments with greater accuracy and success. In simple and straightforward terms, Dougans explains why the meridians are essential for reflexology, how to use meridian therapy and the 5 elements for effective assessment and treatment, how to relate structural foot problems to imbalances in the rest of the body, and much more. Illustrated with dozens of line drawings that guide readers step-by-step through the treatments, this fresh and highly effective approach is sure to revolutionize the practice of reflexology as we know it. Inge Dougans is the internationally bestselling author of numerous reflexology books and the Principal of the International School of Reflexology and Meridian Therapy, which has offices throughout the world.